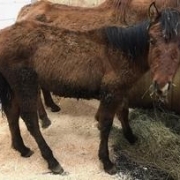 This bay yearling colt came to MHARF from a a late March 2019 Fillmore County humane case. 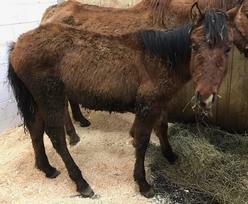 He was still with his mother who was also emaciated. He has now been weaned and is doing well in our rehabilitation program. As soon as he has gained enough weight he will be gelded. Stay tuned for updates!